Mark your ammonia pipes in accordance with IIAR and OSHA pipe marking standards. When using ammonia in your facility or refrigeration systems, it is important to label the pipes with Ammonia Pipe Markers. Doing so will create a safer environment and will alert personnel to their contents, should a break or burst happen. Durable and unmistakable, these labels are ideal for meeting and exceeding IIAR and OSHA standards for ammonia pipe marking. Is that pipe filled with liquid ammonia or gas? Which direction is it flowing? Is the pipe large enough to require a 3” label, or would a 2” label satisfy IIAR requirements? These are just a few of the questions that must be addressed before printing labels. Our free Ammonia Pipe Marking Guide walks readers through the process of crafting the perfect label, from start to finish. Whatever industry you're in, whatever your labeling requirements might be, there's a LabelTac® printer available to meet your needs. Once you've found the right printer, you can rest easy knowing that all LabelTac® printers feature a FULL lifetime warranty. IIAR regulations dictate that larger pipes need larger labels, which is why we offer LabelTac® label supply in four common sizes, ranging from 1” to 4” wide. Suitable for almost any ammonia labeling task, these labels are compatible with all Compact/Desktop LabelTac® models and are durable enough to last for years. With LabelSuite™ software included free with all LabelTac® printers, you don't need to be an artist to quickly create attractive, effective labels. 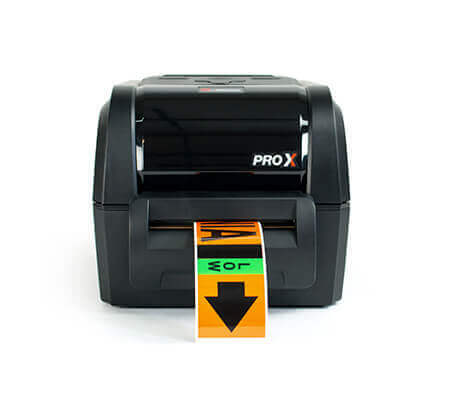 Straightforward design and hundreds of included templates allow anyone to print a quality label in mere minutes. Plus- SAVE BIG with LabelTac® Printers! Ordering off-the-shelf labels from "the other guys"
Single-step ammonia labels- no more extra stickers or expensive multi-color printers required! LabelTac® is the ultimate solution for your ammonia marking. Proper labeling is mandatory, but it doesn't have to break the bank. LabelTac® printers and label supply meet the highest OSHA and IRAA standards for ammonia labeling at an irresistible price point, while the free LabelSuite™ software included with each printer makes printing custom labels quick and easy. Find the right LabelTac® Printer for your ammonia marking needs. 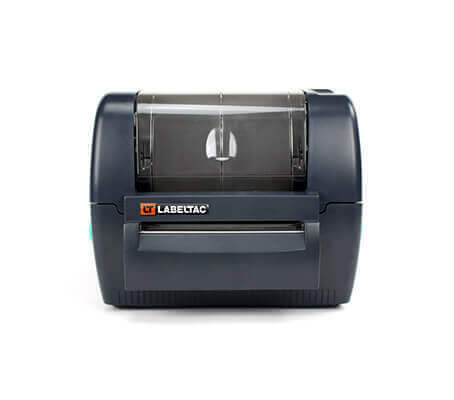 Every LabelTac® Printer includes free labeling software and a Lifetime Warranty. 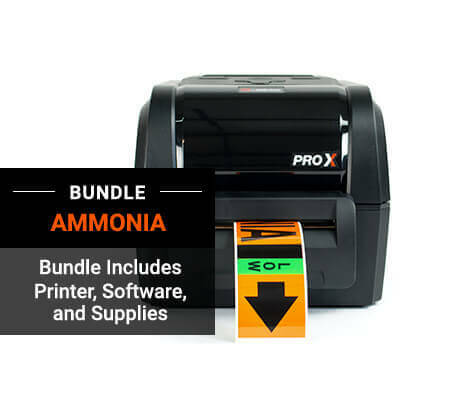 Get EVERYTHING you need to label your pipes including a printer, software, and our special single-step ammonia labels. Great discounts are available for organizations buying a LabelTac® printer alongside LabelTac® printing supply! 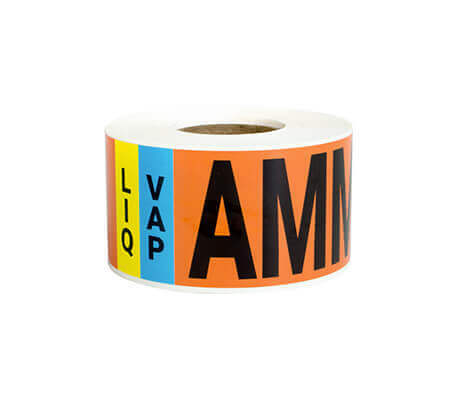 Alongside LabelTac® printers and label supply, we also offer individual ammonia pipe marking labels in a variety of sizes and styles.